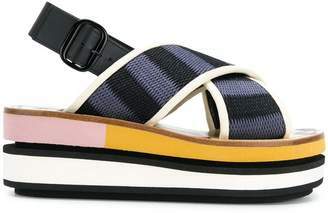 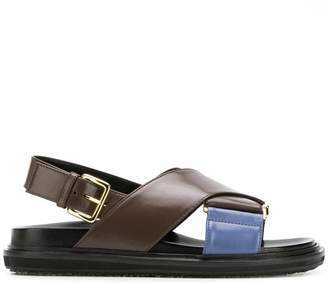 Marni - The chunky shapes and oversized proportions of Marni's Pre-AW18 footwear offering nods to Francesco Risso's exploration of cognitive behaviour in art. 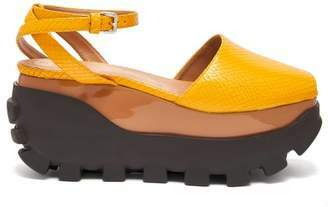 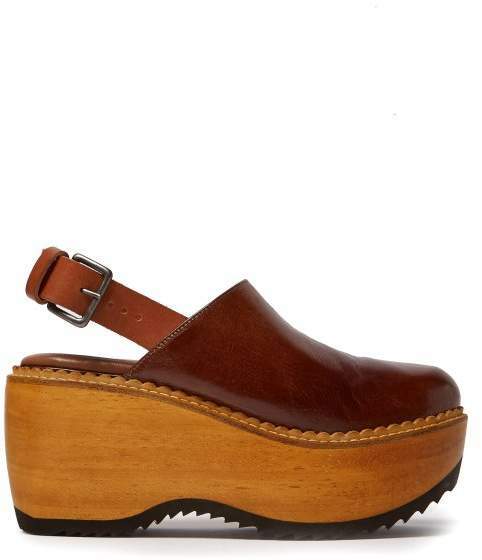 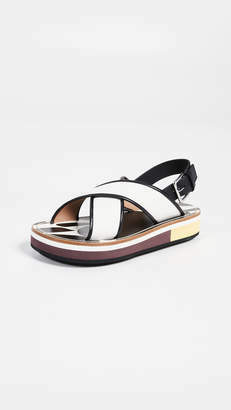 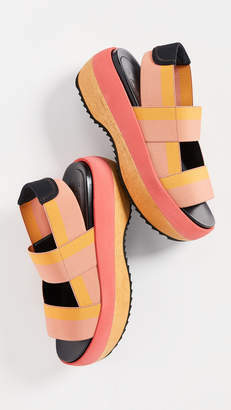 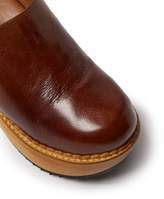 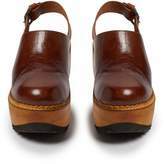 They're shaped with a leather upper and a wide slingback strap that secures with a buckle fastening, then set on a large wooden midsole and heel, lifted from traditional Dutch clogs. 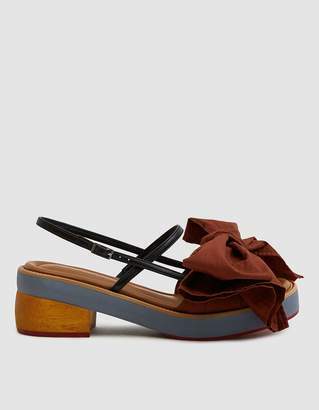 Style them with a slinky knitted skirt for modern play on shapes.